Our residential Outdoor Education Adventure is not a separate curriculum, but a method for supporting the existing curriculum your classroom uses. It also can be used as an aid in all subject areas. As a result, students experience exciting hands on activities and learning takes place in a new classroom. For more information or to book your Outdoor Education Adventure contact our Guest Services today. Dorm style housing is offered to students staying at Wonderland Camp. The Shagbark dorms sleep up to 12 and the Wonderland dorms sleep up to 30. 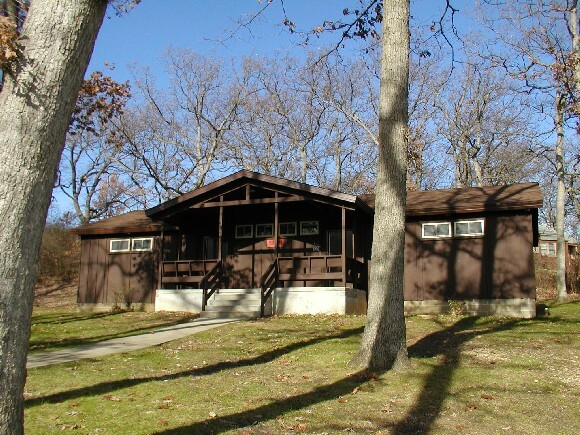 Each cabin is heated and air conditioned with shared baths and separate counselor rooms. 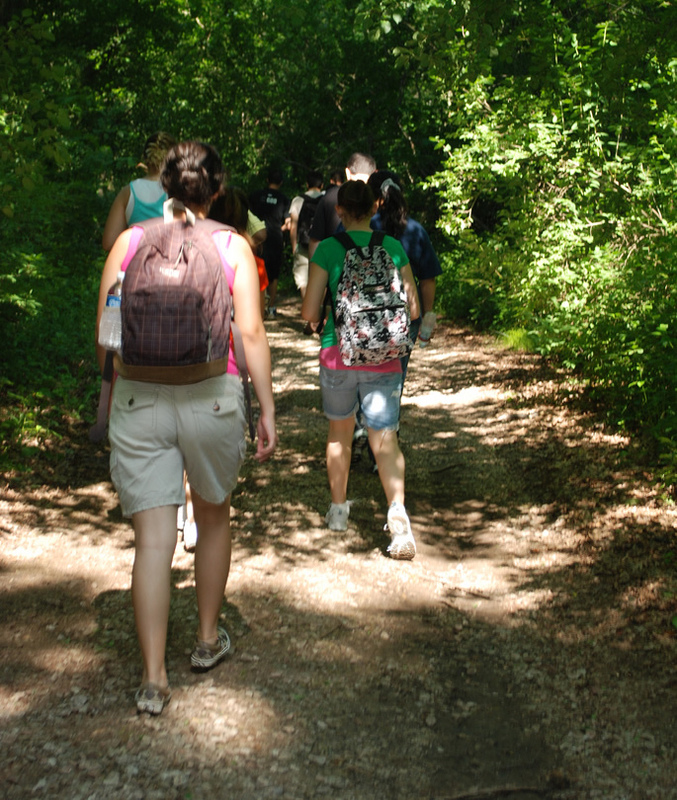 Classes will introduce students to new activities outdoors. Students will explore their surroundings through close interaction. *Wonderland Staff or school staff may teach classes with camp providing the materials, when prior arrangements have been made with Guest Services. 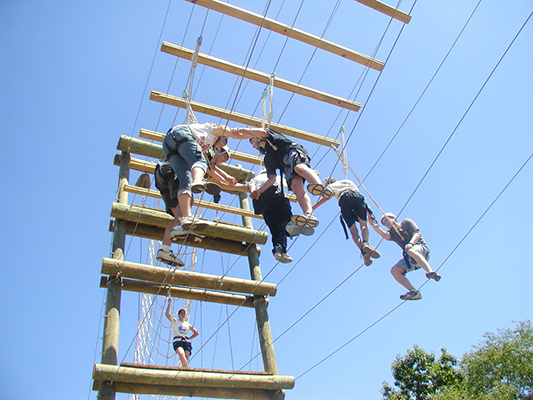 Students build confidence in group activities.